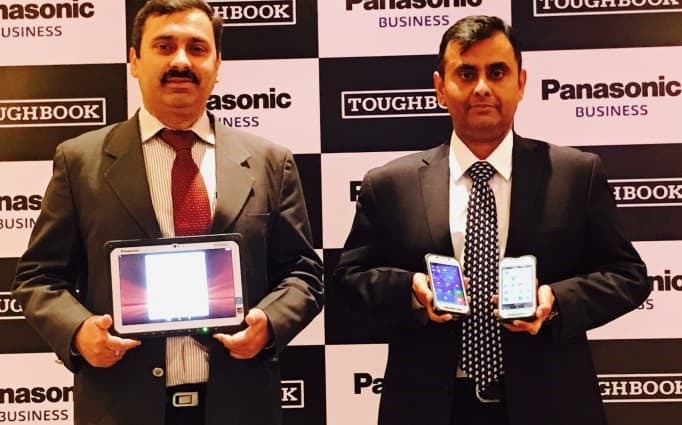 Japanese consumer electronics major Panasonic has added three new members, Toughpad FZ-F1, FZ-N1, and FZ-A2, to its Toughpad series in India, which include two smartphones and one tablet respectively. The toughpads are premium business-specific models and comes bundled with a starting price tag of Rs 99,000. They are aimed at businesses like logistics, manufacturing, transportation, automotive etc and is specially developed to withstand accidental drops, reckless usage, or any harsh environmental conditions. Under the hood, both the toughpad smartphones comes with a 4.7-inch HD (720x1280 pixels) display and are powered by 2.3 GHz quad-core Qualcomm Snapdragon 801 SoC, which is coupled with 2GB of RAM, and Adreno 330 GPU. For storage, the devices offer 16GB of onboard space, which can be further expanded up-to 64GB via a microSD card. There is a 8-megapixel rear camera with LED flash and a 5-megapixel shooter on the front panel on both the devices and connectivity options of Wi-Fi, 2G/EDGE/3G/4G LTE, GPS, NFC, Bluetooth (v4.1) and MicroUSB are inlcuded. The devices are powered by a 3200 mAh battery that claims to deliver a continuous operation of up to 8 hours and up to 1,400 hours of standby time. Additionally, the smartphones are equipped with angular rear 1D/2D barcode reader for industry-oriented markets enabling the user to scan items without bending his/her elbow or wrist. There is also a barcode reader activation buttons on either side to make it easier for use by both left or right-handed users. The devices will also feature glove enabled touch screen, multi-touch, easy sunlight viewable display and rain sensing mode that will ensure accurate operation, even in harsh environmental conditions. Coming to the Toughpad FZ-A2 tablet, it is a rugged tablet with a lightweight (880g) and slim (16.4mm) fanless design running the latest Android 6.0 Marshmallow operating system customized for Enterprise Security. It houses the latest and more powerful 1.44GHz (2.4GHz with turbo boost) Intel AtomTM x5-Z8550 Quad Core processor with 2 MB cache paired with 4GB of RAM and a 32GB of onboard storage. The tablet is equipped with a 10.1-inch (1920x1200 pixels) display and comes with flexible business customization options that are suited best for field work, showrooms or automotive workshops. It also packs an 8-megapixel rear camera and a 2-megapixel front shooter and connectivity options include Wi-Fi, Bluetooth, NFC and GPS. 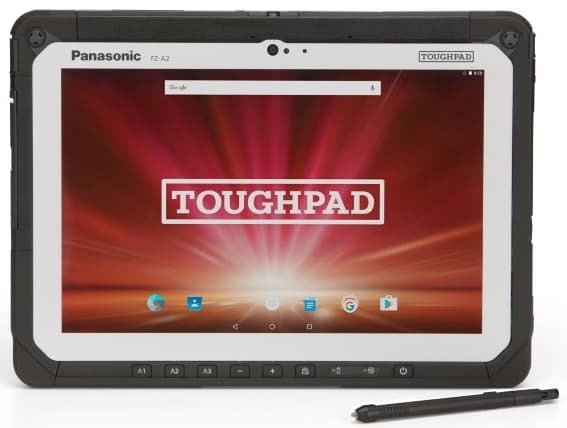 Panasonic currently leads the rugged notebooks and tablets market with a 65% share. According to Gunjan Sachdev, National Business Head, Toughbook and Toughpad Division, the introduction of the new products in the Toughbook and Toughpad series are aimed to increase the current market share to over 70%. 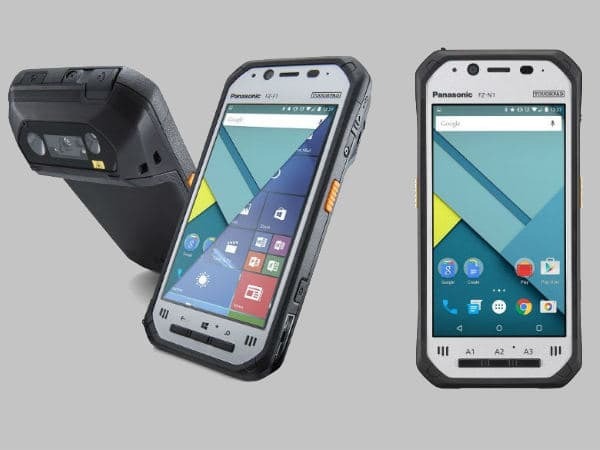 The Android-powered Toughpad FZ-N1 smartphone will be available at Rs 99,000 and the Windows 10 IoT Mobile Enterprise-powered Toughpad smartphone FZ-F1 will retail at Rs 1.09 Lacs, along with additional taxes for each model. The Toughpad FZ-A2 tablet will start from Rs 1.20 Lacs plus additional taxes. Nice, but a bit pricey. Not all companies can afford to deploy them for use.